Myopia management designed to mitigate creeping myopia primarily in children and teens is a burgeoning field that represents a special opportunity for optometry. Recent clinical findings, combined with new technology that produces dramatically improved results, shine a bright light on vast opportunities for optometrists, in particular, to combat a swift rise in myopia and associated eye conditions that comprise a global epidemic. 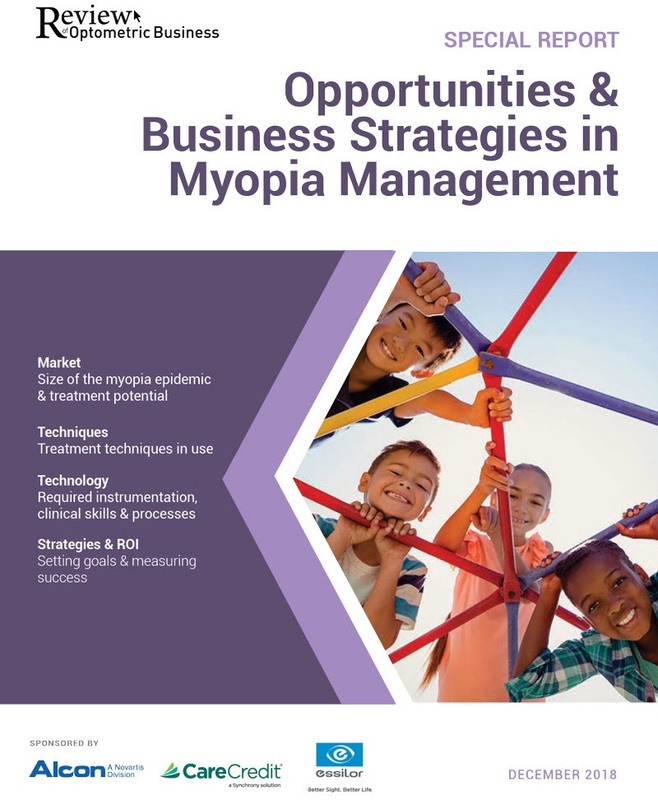 In this excerpt from the report, ROB takes an in-depth look at growth opportunities in myopia management. 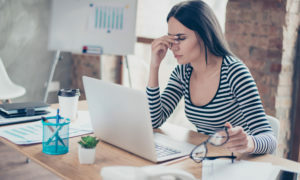 Also included in the report are reviews of technology and treatment techniques in myopia management, as well as practical steps to introduce, market and succeed with myopia management in an optometric practice. Myopia rapidly increasing. 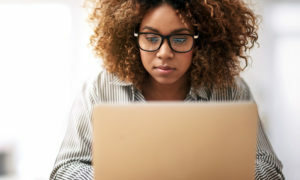 A steep increase in myopia in the U.S. is reflected in estimates from the National Eye Institute at the National Institutes of Health (NIH). 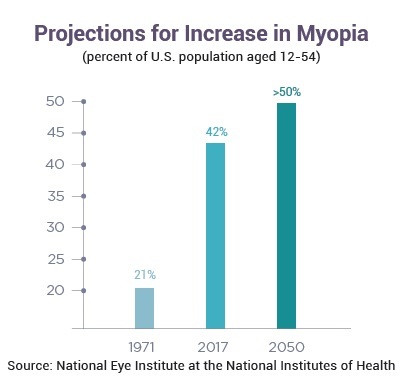 Among the U.S. Population aged 12 to 54, the NIH estimates that myopia increased from 21 percent in 1971 to 42 percent in 2017, and that figure is projected to rise to well over 50 percent by 2050. High myopia causations. Beyond the correction of refractive error, the greater concerns are the effects of high-to-severe degrees of myopia beyond adolescence. 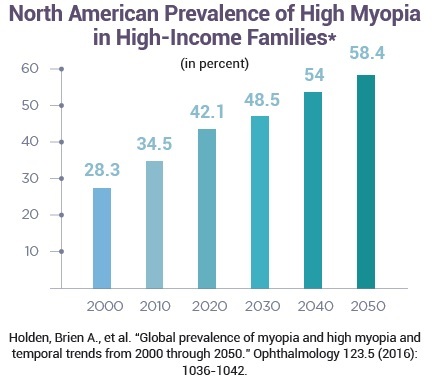 Estimates for myopia greater than or equal to -5.00D are approximately 7.5 percent of the population, thereby affecting over 13 million individuals in the U.S., based on 2017 U.S. Census data. Economic effects. The economic costs of children’s vision disorders amount to $10 billion yearly in the United States. … Families shoulder 45 percent of these costs, not including the value associated with diminished quality of life. 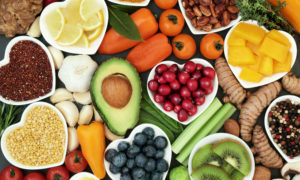 Market segment comparisons. It is becoming more and more imperative that eyecare providers take a more active role in the prevention of myopic progression. Just as sub-markets have developed in the U.S. health care industry (e.g., with orthodontics, an $11 billion market, and hearing aids, a $7 billion market), one should expect something similar with the myopia management market. Market projections. (Employing current treatment methods)…if just 2 percent of myopic children between the ages of 7 to 17 (45.7 million per U.S. Census estimates) were enrolled in a myopia management program, this market would generate $1.8 billion. More importantly, this would reduce further complications related to high myopia.